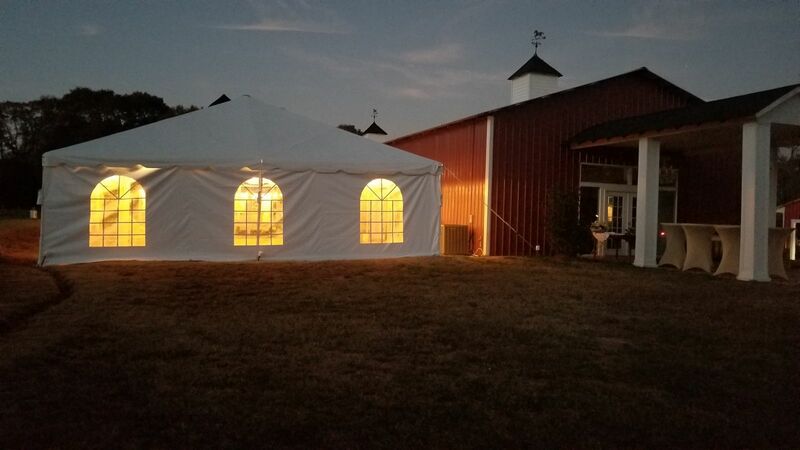 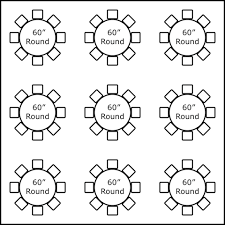 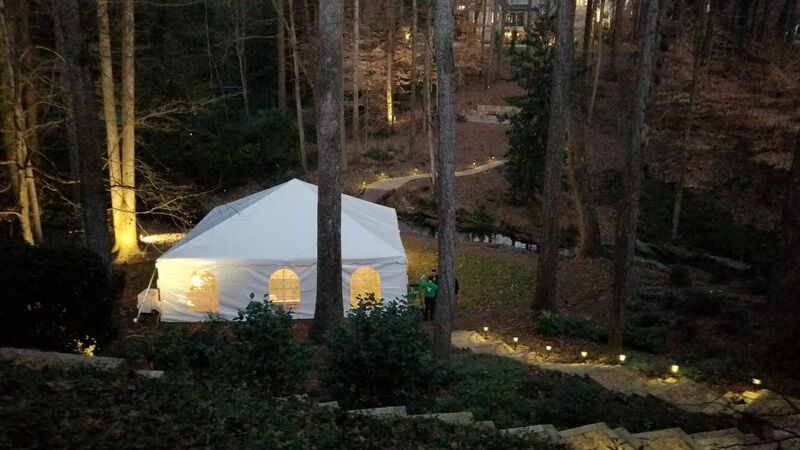 Our 30x30 Frame tent will allow between 88 guests with banquet seating and 72 guests with 60" round tables at maximum capcity. 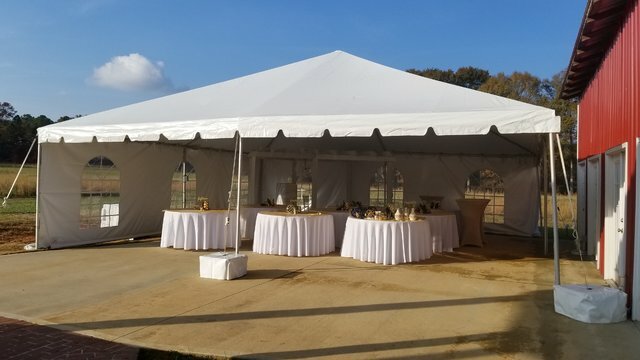 For ceremony purposes the tent will hold 150 guests. 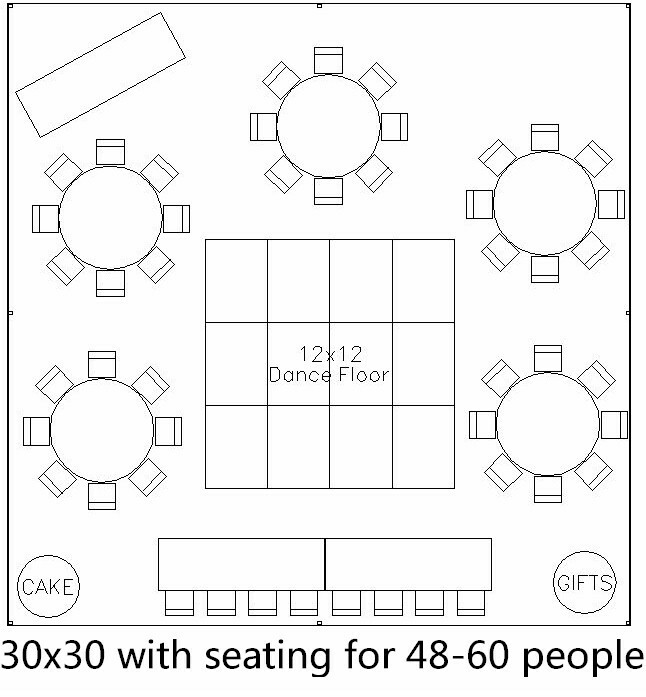 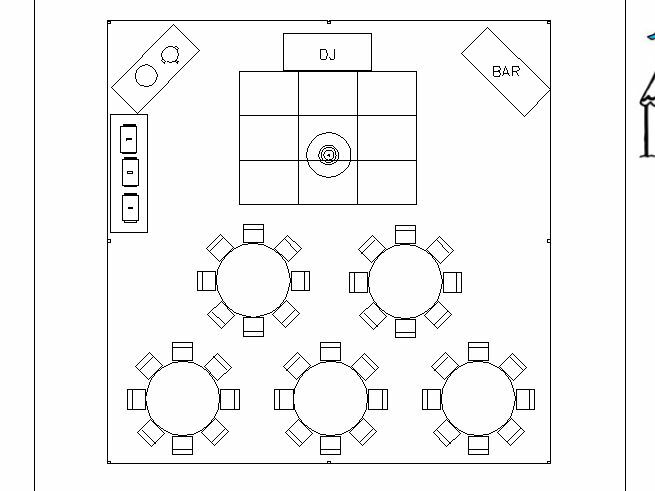 Keep in mind if you want to add buffet style cattering, bars, or dance floors the tent will need to be larger to accomodate the space.